Did you know that 15 percent of adults in America experience some degree of hearing loss? While some children are born with hearing impairments, hearing loss is something that may develop gradually over time. There are many contributing factors to this, including old age, related medical issues, or even working in particular industries. When this happens, it is natural to feel upset or even isolated. However, the sooner you work with an audiologist, the better off you’ll be. You may be able to put an end to the problem before it spirals out of control, or failing this, you can arm yourself with the tools you need to adjust and live a happy and healthy life. The first step to that happy and healthy life begins with an audiologist. 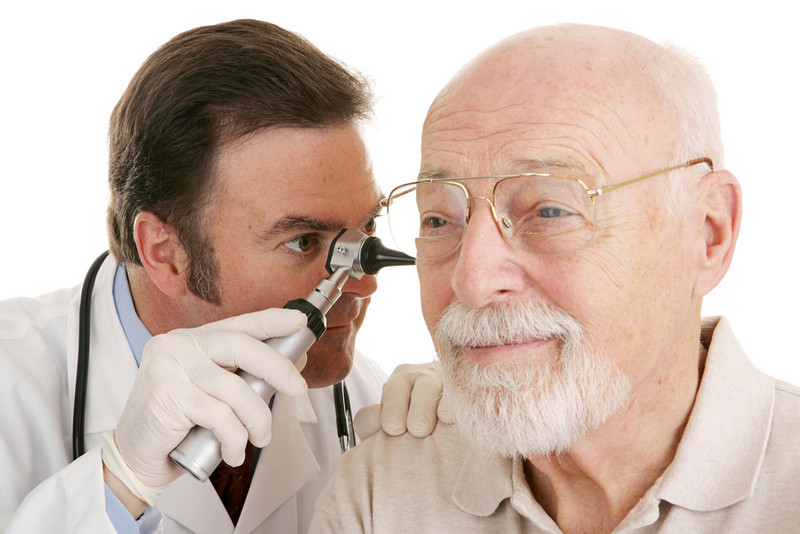 Our Arizona Audiologists will begin your test by conducting an interview and a hearing evaluation. How many words do you miss in a spoken sentence? How often do you ask others to repeat themselves? Do people appear to mumble or speak in a softer voice than before? Do you have to adjust the volume on your radio or TV regularly? What are the difficulties you experience when following discussions? What environments might be most difficult? The hearing evaluation will help the audiologist to further determine how well you can hear and your ability to follow a conversation. To do this, our Arizona audiologists will use Audiometric pure tone testing, word recognition testing, and immittance testing. The audiometric pure tone evaluation measures how well you hear different frequencies, while the immittance ear evaluation measures how well your eardrum reacts to fluctuating degrees of air pressure. The only way to rule those out is through a proper evaluation for these and other factors by the relevant specialists. In the best-case scenario, the contributing factor is minor and easily cleared up, so you may regain your hearing. The other possibility is that the audiologist discovers precisely what the issue is and determines that hearing aids may be the best solution. Before you decide hearing aids are not for you, you’ll be delighted to know that hearing aids have come a long way over the past decade or so. Of course, you know what a hearing aid is, but only one in every five people whose hearing would be improved by a hearing aid actually wears one. So, if you’ve already decided it’s not for you, we hope learning a little more about what it does and how it works might help to change your mind. That said, a hearing aid is a small electronic device that amplifies sounds to make it easier for someone with impaired hearing to communicate with others or just enjoy simple pleasures, such as listening to their favorite record. A hearing aid is composed of a microphone, a computer processor, an amplifier and a speaker. The microphone picks up the sound and transmits it to the amplifier, which then makes them detectable to the ear via a speaker. Thanks to technological advances, many hearing aids are now small and discreet and are usually worn either inside or behind the ears. Because of the popularity of Bluetooth headsets and earbuds, people may not even notice that you’re wearing hearing aids. Open fit hearing aids fit neatly behind the ears and are best for individuals who have difficulty hearing high frequencies. Behind-the-ear hearing aids are less discreet but may be necessary for more severe types of hearing loss. Discreet hearing aids that look very much like workout Bluetooth earbuds are available if you have the money to invest. Losing your hearing can be a frustrating experience. However, by working with a seasoned audiologist, you’ll get the diagnosis and the tools you need to move forward. Losing your hearing is not a death warrant for life as you know it. If you choose to tackle it head-on, it could be the start of a new adventure and a story of triumph for you. However, this all starts with choosing the right professionals. So, if you live in Arizona before you run a search for “audiologist near me” and comb through dozens of ads, contact Metro Hearing at (602) 639-4064 to see how we can help.